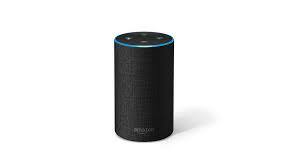 UU A Way Of Life: Ask Alexa - What is "the dawning?" Ask Alexa - What is "the dawning?" Alexa: How do people develop an interior spiritual life? First they have to realize that they have a choice to either walk on the path of the ego or the path of the spirit. This awareness of a choice is called, "The Dawning." Socrates said that an unexamined life is not worth living. How many people live examined lives? If one starts living an examined life it has probably dawned on them that they could be living their life in a better way. Does philosophy help one's spiritual life?